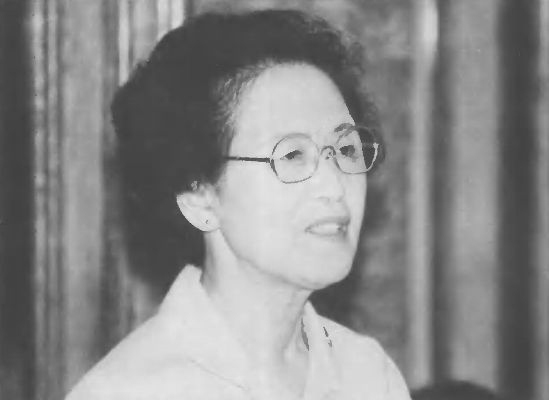 Dr. Young Oon Kim, having been urged by Father as well as by her former students to compile her testimony, recently shared her fascinating life with members in America. At age 14 I was taken to live with my sister, whose husband was an enormously wealthy man. In the midst of this luxury, I came to observe the inner emptiness of those who were materially wealthy. And through my experience with my aged grandmother, I came to realize that a long life is not necessarily a blessing either. My grandmother was a good woman, but she had had a tragic history. She could only reflect on the past and had no future and, indeed, no real present. "Why do people want to live a long life?" I wondered. "It is miserable." I further observed some college students who had returned home from Japan on vacations and I saw how puffed up they were. So I began to doubt whether education could really lead one to be a good person. Finally, I noted so many married couples around me who did not appear happy but seemed to be just surviving. Thus as a young girl, I felt deprived of all the dreams of happiness common to youth. There seemed to be no purpose to living. During this time of perplexity I couldn't sleep at night; I was just thinking and thinking about life. I learned to play tennis in order to be able to sleep and became quite good at it. But my questions did not go away. My house was at the foot of a high mountain. It was a very beautiful place. I often went up into the hills and wandered around, wondering what the meaning of my life was and why I had to live. One day an idea came to me: If there is a God, He will have the answers; and if there is no God, then life is meaningless and not worth living. Sometimes I cried out: "If there is a God, please appear to me!" Probably for a month or two, I repeated that kind of plea, but nothing happened, at least not immediately. Then one day in midsummer, as I was sitting alone under the wisteria arbor in our yard, I suddenly heard a voice on my right side saying, "He loves you. He loves you. The Bible says so." The voice was audible, but it was not a human voice. It was strange, but my heart was uplifted. Within a week, the same voice came back. This time I heard it inwardly. A little later, the voice came back a third time and urged me to go to a church. I was very shy and had no courage to go to a big church. I was attending a Japanese high school, so I asked one of my classmates if I might visit her church. She replied, "Certainly." I didn't even want to wait until Sunday, so she invited me to a Wednesday night prayer meeting at her small Japanese Methodist church. There were only five people there. The minister began the service with a hymn about a shepherd looking for his lost sheep. I followed the singing with a subdued voice. All of a sudden, I heard a strong voice from above saying, "It was not you who had been seeking me. It was I who had been seeking you." Tears gushed from my eyes. I couldn't sing anymore. I just cried and cried. I realized that God had been with me all the time while I had wandered around the hills and valleys, calling out for Him. Before I loved Him, He had already loved me and longed for me. I was so overjoyed. Many times I recall that experience and I cry again. At that time, in my heart, I decided to dedicate my life to this God. The next day at 5 am I went to the hillside and prayed, and I continued going every morning after that, which I have never stopped doing to this day. I knew my loving Father was waiting for me. How could I not go? How could I not pray? Members of a women's Bible college in Korea in the early part of the 20th century. After graduating from high school, I took a job as a bank teller in a small town. One day I noticed a large sign in front of a large Korean Methodist church. It said there would be a revival meeting there with a Rev. Young Do Lee, which was to be conducted throughout the week. That evening, out of curiosity, I decided to see what this meeting was all about. Although I arrived on time, I had to squeeze in, because hundreds of people were already there. Rev. Lee was a young Methodist minister who was a religious genius and also very rich in heart. He had studied in a liberal Methodist seminary in Seoul. As he preached, I could feel the Holy Spirit through his fiery words. Yes, there was judgment in the preaching, as he called everyone to repent, but it was supported by an ardent love of God that was most evident in his prayers. The hearts of everyone present were melted. Ministers, elders, deacons, doctors, lawyers, businessmen, teachers--men and women alike--cried in repentance and in deep humility. Actually, Rev. Lee was a humble, meek, and reticent man, but once he stood up in the pulpit, he was a most eloquent, logical, and yet dynamic preacher. But there was nothing fanatic in him. After the meeting was over, he would kneel down on the floor and continue to pray. Many also remained with him and prayed. Maybe 15 or 20 would stay all night to pray. I was one of them. Perhaps around midnight, someone would stand up and speak in tongues, someone would prophesy, or someone would go into a trance. I had never seen such things before. Rev. Lee generated an awesome, powerful atmosphere. He was also a man of deep compassion for others. If he saw a beggar, he would search his pockets and give everything he had to him, and then, having no bus- fare, he would have to walk all the way home. After Rev. Lee left at the end of the week, the congregation, which had tasted so deeply of the Holy Spirit, craved more. But there was no other minister who could bring such a high spiritual atmosphere, so naturally the members longed for him. The other ministers in town became jealous of Rev. Lee and started denouncing him. Soon, ministers of Methodist and Presbyterian churches all over Korea came to charge him with causing division within their churches. Eventually he was condemned as a heretic, stoned and beaten, and forbidden to preach. He died a year later, at the age of 33, of tuberculosis. Today, ironically, more than 50 years after his death, Rev. Lee is held in high regard throughout Korea as an authentic messenger of God. Rev. Lee left with me a lasting image of a true disciple and messenger of Christ. I have cherished my brief experience with him to the present day. We Were Created for You! Deeply stirred by Rev. Lee, I began a nightly prayer vigil in the church where he had spoken. Month after month, I prayed in the church at night, so I slept very little. One night in December, as I knelt on the frozen floor and prayed, I felt like I wanted to repent, but I didn't know how or what to repent for. So I asked, "Heavenly Father, teach me to repent." Then a life size cross appeared before me in a vision, and Jesus was on it. I saw myself kneeling at the foot of the cross, crying and crying, saying, "I did not know you loved me this much, that you would die for me!" Both in the vision and in reality I cried and cried, repenting for being so ignorant of his love. I prayed for hours and hours. I left the church just before dawn. It was still dark, but a bright light shed radiance over everything. A voice came that said, "I created everything for you." The trees and the houses and all the objects in sight were saying, "We were created for 'you! We will serve you." I didn't seem to have my feet on the ground. I seemed to fly. After that, I was completely changed. My sister-in-law (I had been the most difficult person for her to get along with) said to the neighbors, "If you want to become a Christian, be like my sister-in-law." In other words, I had found such great love that small things didn't irritate me anymore. Then Easter Eve came, and I felt strongly that I must see the resurrected Lord and be resurrected with him, so I went to the church and prayed and prayed. Right after midnight, the triumphant joy of the resurrection poured into me. I could not stay bowed down any more but had to sit up and sing. I was filled with unbearable joy. All morning I kept singing, "He is risen! He is risen!" With this experience I resolved to dedicate my life to witnessing to the living Jesus. A couple of years later I learned from the devout minister Rev. K. S. Lee that on that same night he had had a vision of the risen Christ telling Mary Magdalene not to touch him but to go and tell the disciples that he would see them in Galilee. Rev. Lee then saw that vision being poured into me. "Let's watch Young Oon Kim from now," he told someone. At this time I not only prayed but was also a diligent Bible reader; I read it from cover to cover. Whatever the Bible said was wrong to do, I stopped doing; whatever the Bible said was good to do, I tried to do literally in my daily life. When I walked through the streets, young boys would tease me, saying, "Oh, she is walking in her sleep," because I didn't look around me. I was only thinking of God. In other words, prayer just came out of me. Whatever I did, wherever I went, walking or working, God was always there. 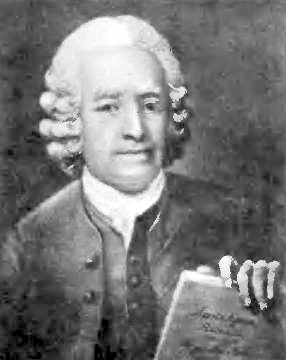 Emanuel Swedenborg, the famous 18th century philosopher who communicated with the spirit world. Later, as I was working in my job at the bank, a voice came to me and said, "Do not work with dead numbers but with lives." So I thought I should become a school teacher. I applied to a special training course to train teachers and was accepted. After training, I got a position teaching second grade in a school in the countryside. My class had 70 boys and 10 girls. I just poured out my love and energy to them. Of the six teachers at the school I was the only female teacher and the youngest. When the state evaluator came, I was surprised to find that I alone received no negative criticism. Instead, the evaluator told me I had the potential to become a great teacher. During this time, I began to read the works of Emanuel Swedenborg. He was a famous Swedish scientist, philosopher, and lifelong member of the Swedish parliament. When he reached the age of 55, his spiritual senses were opened and he freely communicated with the spirit world. Swedenborg repeatedly emphasized that we must understand divine truth and live by it, serving others with divine love--not for the sake of money or prestige or power or any earthly reward, but for the sake of love and truth and God alone. I felt that Swedenborg's message was the most precious truth, and it became the foundation of my theology. Then a clear voice came to me again, saying, "Do something of eternal value. The work you are doing can be done by anybody." After hearing this I felt my life mission should be something else. Having learned from Swedenborg that the word of God has eternal value, I decided I must study the Bible. Around this time a friend who had just returned from Japan recommended the seminary at Kwansei Gakuin University in Japan. I had been experiencing problems with my lungs; they were becoming more and more weak and it was becoming difficult to teach. Thus, the confluence of events seemed to lead me inevitably to Japan. When I arrived at Kwansei Gakuin, I discovered it was an all-male institution. The dean of the seminary offered to introduce me to a women's school, but I declined, expressing that I knew the education at such institutions at this time was inferior to that of men's schools. I told him that I did not want to be a minister, who has to preach week after week whether he has the inspiration or not, but rather a witness, a voluntary witness to God through my words and my life, and to do that I needed cry deeply know the word of God. The dean was impressed with this answer and said he would accept me as a special student. I took every course except military duty. This was a liberal Methodist seminary. After about two or three years I began to wonder about the value of studying academic theology. I asked God, "Should I study this? What's the use of it? If I cannot save my soul with this knowledge, how can I save other people?" God's answer was, "You must know the weapon of your enemy." "What enemy?" I wondered. But I kept studying without any further questioning because I believed my future was in God's hands and I should not interfere. I finished five years of study, and upon returning to Korea, I began teaching at a women's Bible college in Pyongyang. Japan's control of Korea was becoming tighter and tighter. In time I was forbidden to teach the Bible, so I would often go to the famous Diamond Mountains to pray. After World War II ended, the Japanese went home, but soon the Russians arrived. One day the communists approached me and asked me to give a speech. I saw the need to escape immediately, and with a few church members, I fled south to Seoul. In Seoul I took a job at a Catholic high school and then at a newly opened theological seminary. While I was teaching there, Dr. Helen Kim, the president of Ehwa University, invited me to meet her. She asked me if I would like to teach religion courses at Ehwa's newly formed Department of Christian Social Work. I took the position. While at Ehwa, I met some Canadian missionaries who were seeking two qualified Koreans, a man and a woman, to send on a scholarship to study at the University of Toronto. In 1948 I received this scholarship and left to study at Emmanuel College in Toronto for three academic years. While I was there, the Korean War broke out. I remember a fellow student inquiring how I was able to continue to study with such concentration when my country was at war. I said nothing at that time. 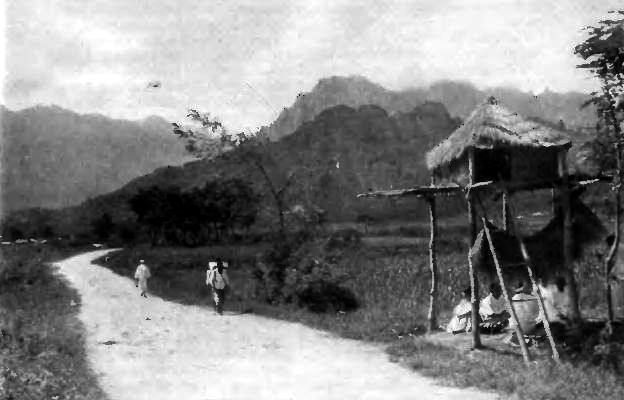 "I was forbidden to teach the Bible, so I would often go to the famous Diamond Mountains to pray" -- The Diamond Mountains in North Korea. I really didn't know where God would lead me, but soon afterwards, the Canadian missionaries invited me to go to Europe. I asked them why. They responded that they wanted me to learn how Germany was reconstructing itself after the devastation of World War II because my own country was devastated. As I was to lead Ehwa's Department of Christian Social Work, they also thought it would be instructive for me to study social ∞ work in East London. More importantly, they suggested that I attend various ecumenical study groups throughout Europe and hear the lectures of several prominent European theologians. So I ended up staying several months in Europe, attending various interfaith study groups in Germany, Switzerland, and England, as well as several youth projects sponsored by the World Council of Churches. The Canadian missionaries invited me to pursue my Ph.D. at Cambridge University in England, but I was quite tired of formal study and strongly desired to return to Korea. While in Europe I began to wonder where Western Christendom was headed and what vision it possessed. Europe had been the heartland of Christianity for many centuries, and Germany had been the brains of modern theology since the Enlightenment. Even the theology of North America had been led by the Germans for over a century. But I could sense the grave agony modern Christianity was suffering, which continues today. First, the churches were losing young people, who could no longer find any spiritual satisfaction in the established religions. Second, Christianity lacked a united determination to combat the global monster of communism, despite the fact that Christians have constantly felt its threat and suffered its malice throughout the world. Third, if even a completely unified Christendom was not strong enough, how could the divided and divisive denominational Christianity be of any help? The World Council of Churches had been established in 1948 by open-minded and progressive denominations and had begun an ecumenical movement, but the ideal of a unified Christianity was not in sight, and to me it looked almost impossible to reach. Observing the postwar European churches, I lost my naive inspiration in Western Christianity and returned to Asia with a heavy heart. I left for Korea from Holland on a Danish freighter, a passage that took two and a half months. When I landed in Pusan, it was early February 1952. The truce between North and South Korea had not been signed yet, but the guns of war were silent in Pusan. I became quite ill from the water and living conditions in Pusan, flooded as it was with war refugees. I remained ill and became bedridden, reaching the point where I thought I was to die. One night, after midnight, I heard a voice that said, "This is a spiritual crisis." I sat up and said, "What do you mean? In me or in the whole world?" A few days later, a woman came to visit me as I lay in bed. She told me that the Lord of the Second Advent had come to Korea and that I should study the new truth he had brought. I laughed. This was so shocking, but I felt curious and wanted to investigate, knowing that if it were false, I could quickly dismiss it, but if it were true, it was a matter of life and death. I accepted the invitation, but from that night, I became terribly ill. The next day Dr. Helen Kim sent an ambulance that took me to the university hospital. While I was there I kept thinking, "Why doesn't that nice woman come to see me?" In three weeks I recovered enough to leave the hospital. After returning home, a young man came to me and invited me to a Divine Principle seminar, so I agreed to go. I asked, "What do I need to take?" He replied, "A toothbrush and pajamas, that's all." So I went to the small house where Father was teaching. After the third day of listening to the Principle, I was totally healed of my lingering illness. Everybody was so glad and happy. Evidently they had been praying for me and I didn't know it. Father told me, "That's nothing strange. If your spirit is coming alive, everything can change." The night before my healing, the inner voice of God had spoken to me again and said, "It was I who led you to Jesus. It was I who led you to Swedenborg. It was I who led you here." During the last four days of my week-long visit to the center, I heard the testimonies of some of the members and, most significantly, the life story of Rev. Moon from Father himself. I was very moved by the Principle of Creation because it was close to Swedenborg's teachings in its concept of polarity, the three stages of growth, and the unity of the physical and spiritual dimensions. However, I was stymied by the explanation of the fall of the archangel. How could an angel do such a thing? The principle of Christology was also unsettling, because I agreed with Swedenborg that Jesus was divine and God Himself. But God had said, "I brought you here"; therefore, I didn't say too much but just listened. I was overwhelmed when I heard the conclusion-- that God had chosen a Korean who was my contemporary. What exciting news! My contemporary is the Messiah! Therefore, I didn't want to argue with the other parts. 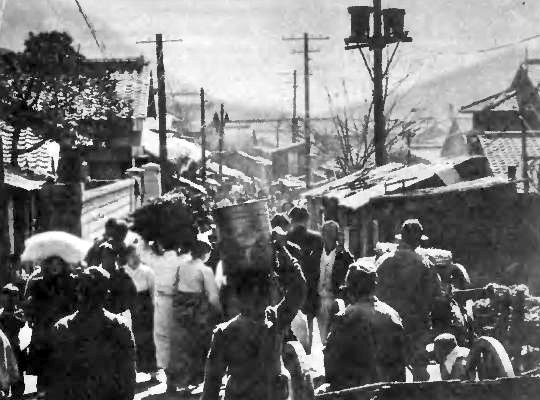 "I became quite ill from the water and living conditions in Pusan, flooded as it *as with war refugees" -- A street scene in Pusan in 1953. My parents had no affiliation with organized religion. I never heard about religion in my family. However, in the middle of my teen years, I began to wonder more and more intensely about the purpose of my life, like any other teenager: Why am I here? What direction should I go? What happens after death? Two women teachers from Ehwa University had already been studying the Divine Principle, and it was one of them who had introduced it to me. She began attracting many other students to it as well. By this time I had accepted the Principle too, and since they trusted me, many of my students felt it must be true. Having no predetermined theology of their own, they were quite open to new teachings. They spread the message among their fellow students and brought many of them to lectures at the Unification Church center. Most of the students lived in dormitories, and rumors of our work spread quickly. School authorities began to wonder if this were an unhealthy, fanatical movement. Worse, they feared that if it continued to spread, it would be impossible to control. So they began to put pressure on the faculty and the students. Dr. Helen Kim said to me, "Do you really have to throw yourself into this movement? Can't you just study it in a detached and objective way, like other movements?" My answer was, For me, religion is not a means of living but a matter of life! Therefore, I cannot be uninvolved." A week later, she called me to her office and asked that I refrain from mentioning the Divine Principle teachings in my classes or anywhere on campus. If I kept my faith to myself, everything would be okay, she said. To this I replied, "President Kim, the whole world is my parish to teach in, so I can easily leave out this campus." About a week later she sent me an ultimatum: "Either you completely cut off your ties with the Unification Church or you give up your teaching work here." Similar notes were sent out to all Ehwa students who were church members, some with only one semester before graduation. But they were determined to defend this new truth by all means. Their parents intervened, protesting to the university. The media also showed sympathy for the students, criticizing the university for denying religious freedom. At Yonsei University, the same repressive policy was applied to one professor and two students. A few at Ehwa compromised with the administration, but 13 students and five faculty members refused to give up their new faith. The two universities took action. The students may have felt sorry to give up their studies, but they felt no sad depression and no sense of defeat, because they had discovered clearly interpreted divine truth for this new age with its promise of a glorious future. As for me, since my mission would take all my time, I felt it was God who freed me from the university. I felt no animosity toward those who condemned me and expelled me as a heretic. However, the decision of Ehwa University in this matter was a grave mistake. It obstructed the work of God and blocked the way to eternal life for many, as they will clearly see in the future.